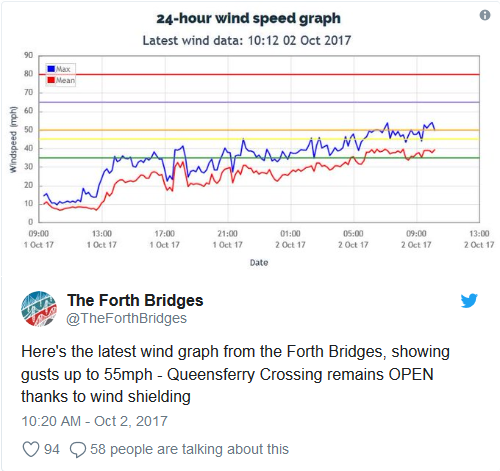 Queensferry Crossing staying open more often and even in very high winds. Reporting Scotland will be all over this? Given Reporting Scotland’s obsession with difficulties as the old bridge was being maintained, they’ll surely be all over this to fulfil their charter to be balanced? Next Article UK Government urged to follow Scotland’s praised lead on employee ownership – another 8% story?